Westpac has made changes to its wealth management and leadership, with it expecting to save around $73 million. Westpac has published its plan to simplify its structure and re-organise group executive responsibilities, with the division restructure to be effective from 1 April. As part of the changes, the bank is realigning its BT Financial Group into its consumer and business divisions, no longer retaining the financial services business as a standalone division and selling off parts of its advice sector to Viridian Advisory. As part of the changes, current consumer bank chief executive George Frazis is leaving Westpac from June and Brad Cooper, chief executive of BT Financial Group will also be departing the group following the transition of BT’s businesses into their new divisions. The bank is expecting savings by removing the cash earnings loss from the advice business of $53 million (excluding remediation costs) and gaining productivity savings of $20 million from dropping a business division. The announcement comes following National Australia Bank and Commonwealth Bank of Australia announcements responding to the royal commission. Brian Hartzer, CEO of Westpac, said the bank is adjusting its capabilities into the lines of business where it makes the most sense based on customer needs. “Most customers don’t differentiate between banking and wealth products; they want help buying their home, paying their bills, planning for retirement, or protecting the things that matter most to them,” Mr Hartzer said. “They expect professional service that meets their financial needs. He added that following the bank’s investment in platform Panorama and the launch of BT Open Services, it has found that the natural customer base was primarily found in its business division. 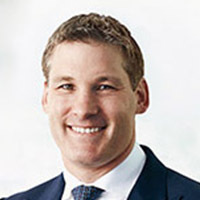 “Similarly, superannuation – including corporate superannuation, and support for SMSFs – is strongly linked to our business division,” Mr Hartzer said. Mr Hartzer noted the changes deliver a better and more integrated experience for customers as well as simplifying the group’s structure. “These changes allow us to focus investment in areas where we have a competitive advantage such as platforms and insurance,” he said. Mr Frazis, consumer Bank chief executive, will be leaving the group, with the division to be led by current business bank chief executive, David Lindberg. Mr Lindberg will be replaced by general manager of commercial banking Alastair Welsh as business bank chief executive on an acting basis, while the bank seeks Mr Lindberg’s replacement. Responsibility for BT remediation programs will move to the group’s chief operating officer, Gary Thursby. Mr Hartzer said the departing Mr Frazis had made a major contribution to Westpac since joining in New Zealand 10 years ago. “His commitment to strengthening customer relationships, simplifying the business and driving improved service has seen more than a million new customers join us across all our consumer brands over the past four years. Mr Hartzer added that Mr Cooper had led the the transformation and integration of the St George merger as CEO of Westpac New Zealand. “Under his leadership, BT has consistently moved ahead of the industry on reform, including removing grandfathered commissions and introducing the first transparent system where customers can rate their adviser,” he said. Westpac is also ducking out of the provision of personal financial advice by its own salaried financial advisers and authorised representatives, instead moving to a referral model and entering the sale agreement as part of the exit with Viridian. The move to Viridian will involve 175 BT Financial Advice advisers, among other employees. The sale is expected to be completed by 30 June, with some authorised representatives also being expected to move to Viridian by the end of September. Westpac said it is “unlocking value by exiting a high cost, loss-making business” and it expects the costs associated with exiting and restructuring will be offset by future cost savings. “We are committed to supporting our customers’ insurance, investment and superannuation needs as part of our service strategy,” Mr Hartzer said.